PETALING JAYA: Mudajaya Group Berhad’s 46%-owned associate, PT Harmoni Energy Indonesia (“PT HEI”) has achieved commercial operation date (“COD”) for its 2 x 7 MW coal-fired steam power plant in DesaBarutaAnalalaki, Southeast Sulawesi, Indonesia on 29 October 2015 as confirmed by PT PLN (Persero) Wilayah Sulawesi Selatan, Sulawesi Tenggara Dan Sulawesi Barat (“PLN”) on 10 November 2015. Speaking at the opening ceremony of the power plantheld earlier in Indonesia to mark the completion of the construction phase and the beginning of the operations phase, Mudajaya Group MD and CEO James Wong Tet Foh said the successful commissioning and commercial operations of the coal-fired steam power plant marks a significant milestone for the Group in its foray into the power sector in Indonesia. “The debut of this plant marks a game changer for the local community as this plant will augment the existing power plants that are operated using diesel engines within the BauBau and Buton region in Southeast Sulawesi. We note that it is PLN’s objective in the long run to increase electricity output using more efficient coal-firedpower plants for this region compared to diesel power plants, as illustrated by the Baruta Coal Power Station which could saveabout 23,600 kilo litres per year of HSD (High Speed Diesel)”, James added. In addition to this with the development of a proposed special economic region within this region, coupled with the year on year growth in demand for power, there will be a need for additional coal-fired power plants in the near future. The prospects are good for expansion and the Group has taken the necessary steps to develop a plant of higher capacity within the vicinity subject to approvals from the relevant authorities. Also present at the opening ceremony were EryanSaputra, PT PLN (Persero), Manager Area BauBau and Dato’ Yusli Bin Mohamed Yusoff, Chairman of Mudajaya Group Berhad. 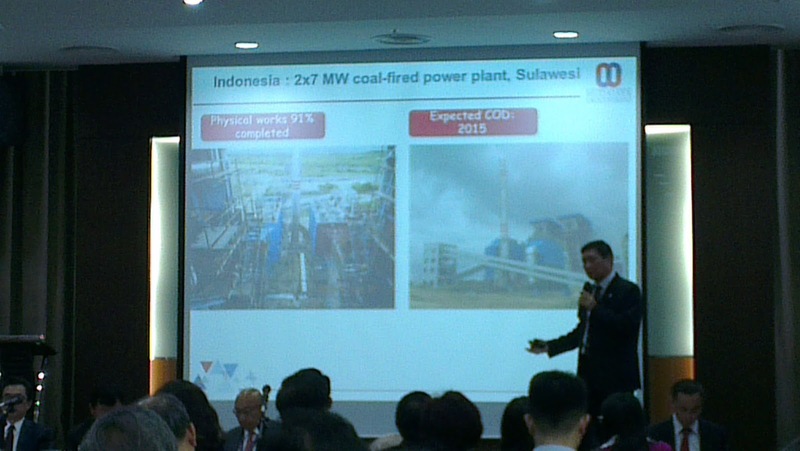 The 2 x 7 MW coal-fired steam power plant in Southeast Sulawesi, Indonesia is developed on a Build-Operate-Own concept subsequent to PT HEI entering into a Power Purchase Agreement (PPA) for a period of 25 years from COD with PLN in July 2011. This investment will provide a recurrent income stream to the Group and is expected to contribute positively towards the earnings and net assets of the Group for the current and future years.